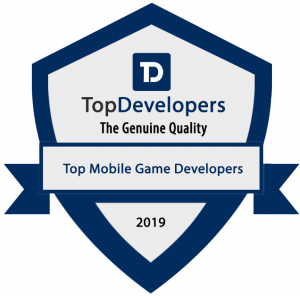 SAN FRANCISCO, CALIFORNIA, USA, January 12, 2019 /EINPresswire.com/ -- Our unbiased analysis and research to find the top-rated game app development firms, has found these highly potential game app developers the most capable. The companies chosen here have been amazing the gamer with astoundingly interactive, attractive and thrilling games. Since game apps can have their owners earn in millions, many big businesses are now turning towards developing one. Mobile game can become a new business wherein your investment can earn you huge amounts in short period, if the game idea interests the right mix of audience.